It's it funny sometimes how sometimes you are really are in the place you are meant to be and things just click together. With all of the attention I have been paying to what I am eating and how it is affecting my body, the cooking class I took last weekend just aligned so perfectly. Last weekend the Ritz Carlton Half Moon Bay invited me to visit and attend their Global Cuisine series featuring Chef Manish Tayagi. He inspired me with his insight on how ingredients can be powerful additions to our food for both flavor and healing properties. I learned so much about Indian cuisine plus a few amazing cooking tips along the way. 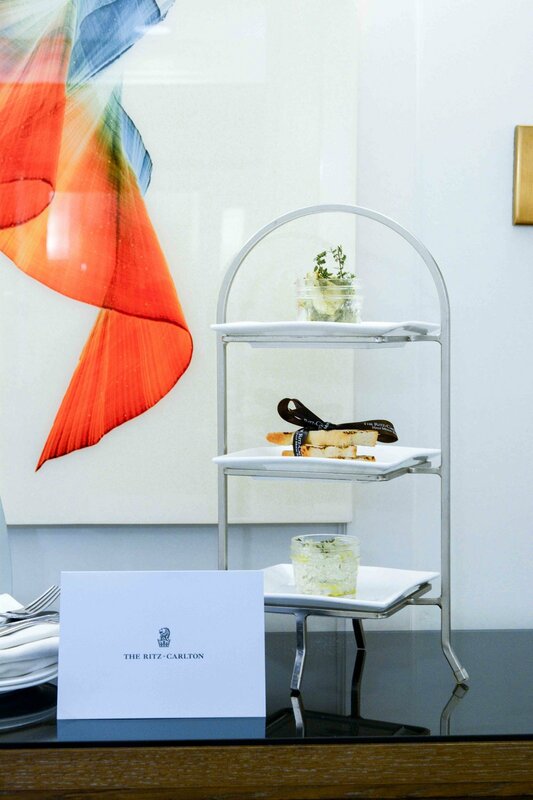 Read on to hear more about our stay at the Ritz, where Chef Manish Tayagi's gets his inspiration and perfect shops to visit in Half Moon Bay. We arrived at night in thick fog that was a surprise from the warm weather in the city. It lent itself to the secluded feel of the hotel, which is perched on cliffside in the sleepy town of Half Moon Bay. I was surprised to find that Half Moon Bay is about 30 miles from downtown SF. It always seemed like such a destination to save for a long drive and a long weekend, but it turns out that getting there is a quick hour drive south. 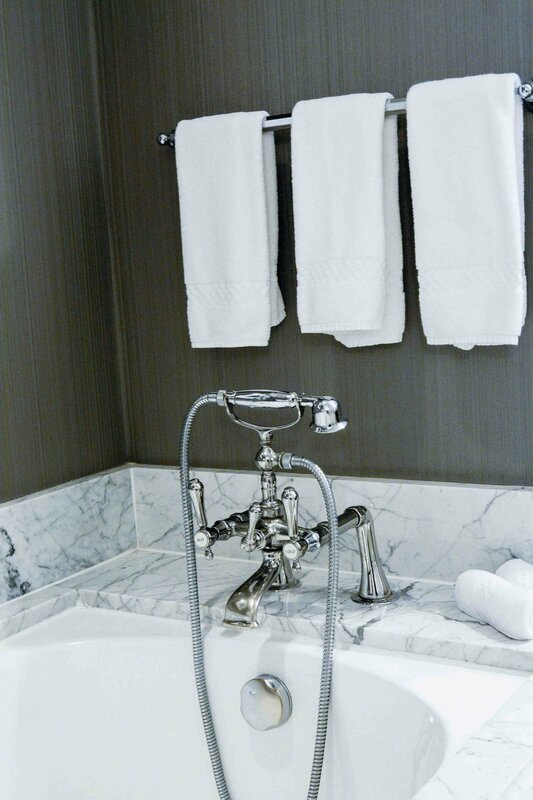 The hotel itself lives up to the Ritz name with perfect service and attention to every last detail. The rooms are a wonderful reflection of the gray-blue of the ocean outside. I was dying over all of the little details, the luxurious marble bathtub, the faux fireplace that was crackling on our TV. It immediately felt like a cozy fall evening next to the sea. 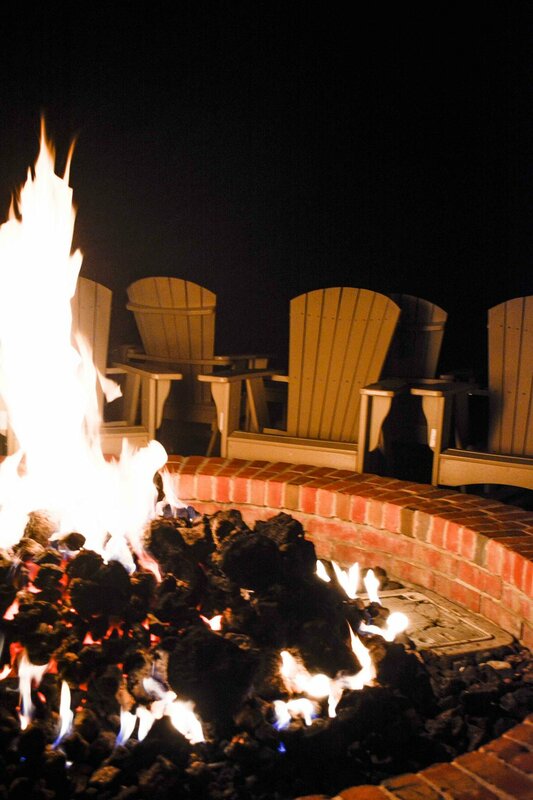 One of our favorite activities (besides the amazing cooking class of course) was the s'mores station that is set up each night. 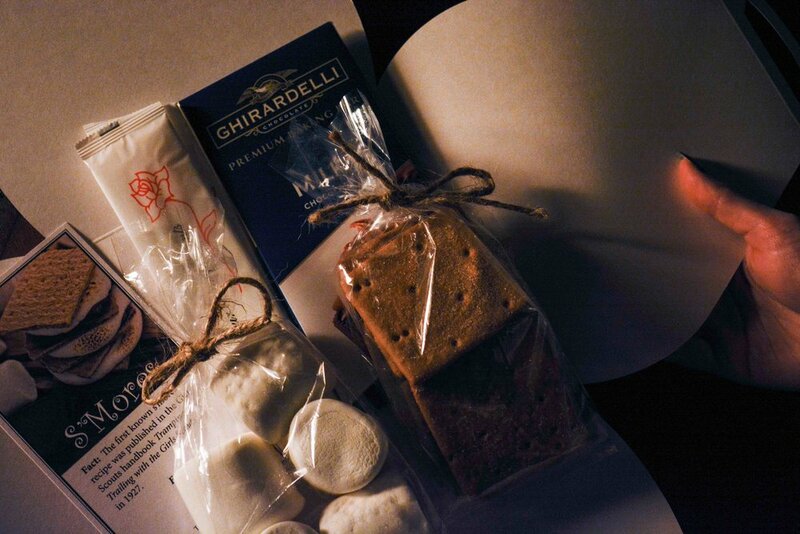 Also, these aren't your average s'mores they are artisan marshmallows, homemade graham crackers and Ghiradeli chocolate. We unpacked our kit and snuggled next to the fire. The warmth kept us outside into the evening roasting marshmallows, laughing when I totally scorched mine and just taking in the peace and quiet outside of the city. The class was such a special part of the weekend. We had the opportunity to cook in a small group setting with the chef. We learned how to make two delicious but surprisingly-easy dishes (it sort of helped that everything was pre-measured) It was such a unique opportunity to get to learn from someone who has worked in kitchens around the world. He was surprisingly patient as we created our yogurt paneer balls and yogurt-rubbed lamb (no Hell's Kitchen situation here) I loved learning the technique of pre-marinating meat in vinegar to tenderize it. It made our lamb so tender and flavorful. Before lunch I had the opportunity to sit down with the chef to hear dive deeper into where he got his start, his thoughts on the wellness movement and why you need Fenu Greek seeds in your life. Chef Manish Tyagi grew up in a traditional household in India where he got his early, if not unconventional start, cooking with his mom in the kitchen. He explained to me that it was the responsibility of the youngest daughter-in-law to cook for the entire extended family and pass her traditional recipes down to her daughter. With two boys in the family, Manish took the roll of working alongside his brother in the kitchen learning how to make their family recipes. 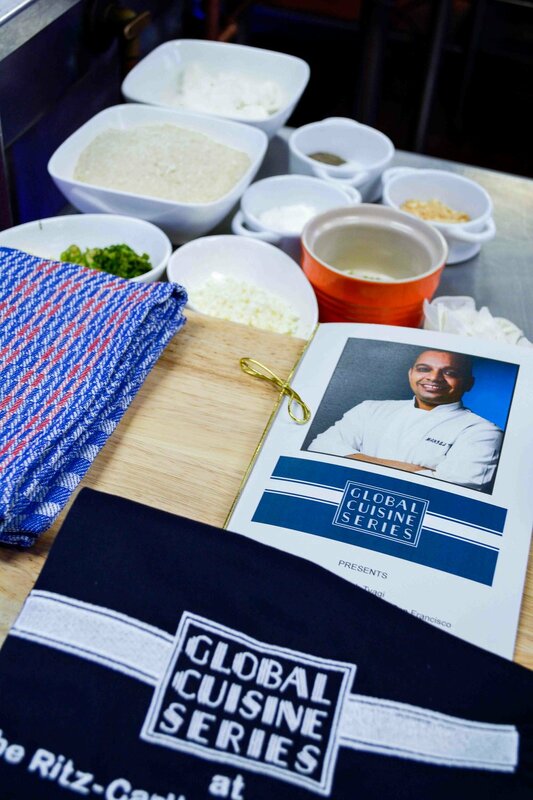 This love of cooking continued into his career when he became an executive chef overseeing 4 properties of the luxury hotel chain Taj at the young age of 25. This rapid accent was somewhat unexpected so early on in his career. After receiving Best Chef of the Year in 2009 from the UK Gallivanter's Guide, he was offered a new opportunity in the US at the DC-based Rasika. He moved stateside in January 2012 and opened the restaurant to strong press accolades. After a year at the restaurant, he set his sights on California. In California, he became the head chef at Amber India, focusing on turning around their Valencia-street restaurant Amber Dhara. His most loyal patrons at Amber Dhara, who were passionate about his California-Indian cuisine, eventually became the partners of his current endeavor August 1 Five. 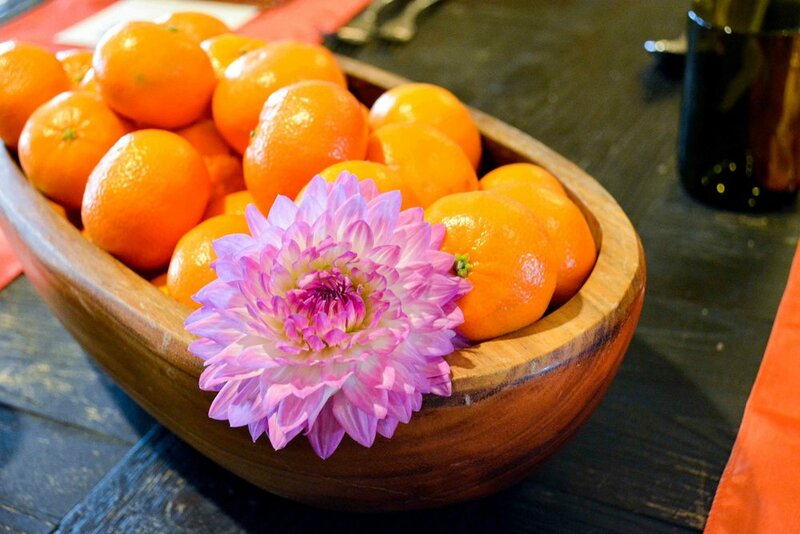 At August 1 Five he strives to bring Indian food to SF in a decidedly California way. Leveraging his strong relationships with local farmers and butchers, he plans his menus seasonally based on what the farmers are growing. In California, Tayagi loves having access to any type of produce from fresh turmeric to local lamb. He also mentioned that the climate is somewhat similar to his hometown in the foothills of the Himalayas in Northern India. He can make his traditional family recipes in new ways with inspiration from SF. One particular element of Indian cuisine that we talked quite a bit about throughout the cooking class was healing through plant-based herbs. If you have been following me recently you know I really dove into this headfirst in the last few months. While these herbs are relatively new to me, they have been part of Indian cuisine throughout their history. Some of the chef’s favorites are basil seeds (omega-3s and protein, soak in water and eat before a workout in the morning), turmeric root (an anti-inflammatory, slice off a small piece and chew in the morning) or fenu greek seeds (to help digestion, add powdered to water or chew on them) He also brought up Ayurvedic dosas (don’t know what this is, click here) and the importance of understanding what your dosa is before adding any of these healing herbs. I honestly had no idea that this would be a topic of discussion in our cooking class but found it absolutely fascinating. Chef Manish wrapped our conversation with, “Knowledge is everywhere it just depends on what we pick up and what we attract.” It was the perfect summary of the morning. 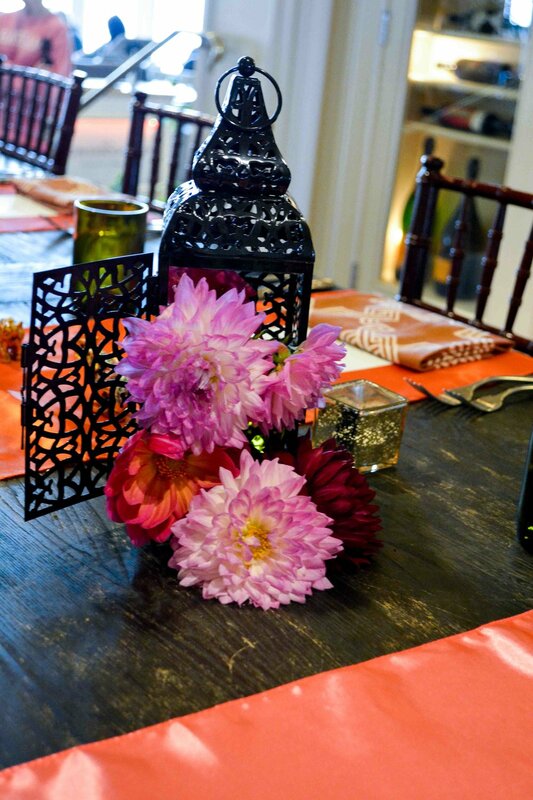 After our conversation, we sat down to the most beautiful, Indian-inspired table to eat what we had made. The Ritz chefs plated everything so beautifully and presented the dishes with local wine. The food was incredible, with all of the bright and complex flavors. Being a dessert person, the saffron yogurt dessert was my absolute favorite. It was the perfect way to finish off an amazing meal. After a long day of cooking and eating (and plenty of wine) we were ready for a nap. But in order to keep our energy up, we stopped by downtown Half Moon Bay to check out the quaint main street. There are a few wonderful shops that are worth checking out.